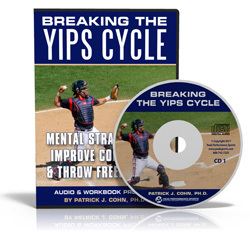 Have you ever had the throwing yips and wondered where they came from and how to get rid of them? Have you ever had the hiccups and wondered where they came from and how to get rid of them? Many people having the hiccups try some bizarre methods to cure themselves of the symptoms. 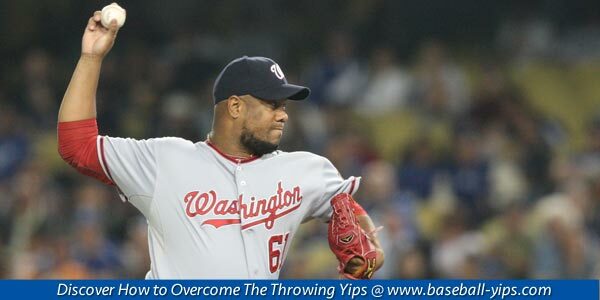 A lot of baseball players attempt strange methods to cure themselves of the yips extra throwing practice, changing arm angles, experimenting with different grips. 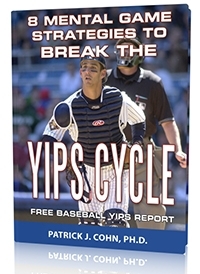 But there is one huge difference between the hiccups and the yips… No one with the hiccups is so embarrassed that they don’t admit they have the hiccups… But baseball players with the yips try to keep the issue under wraps at all costs. Chase Headley had an error-riddled 2015 season in his first full year as the New York Yankees starting third baseman. Headley often yipped during routine throws to first. Headley had 23 errors surpassing his previous career high of 13 back in 2010. Twelve of those 23 errors were throwing errors mostly on routine plays. Headley committed 16 errors during his first 69 games for the Yankees in 2015 as compared to only eight errors total in 127 games last year. Related Article: How Can You Free Up Your Throw? If you compared his throwing technique when Headley yips, he is tentative, holds the ball long, double-cluthes, takes several steps between fielding the ball, then sails the ball. Last year, Headley was more confident in his throwing; he threw the ball decisively and with conviction. When making a bang-bang play, Headley threw the ball in one fluid motion relying on his mere instincts. Since there was physical explanation as to Headley’s change in approach to fielding, it appears he is dealing with a mental block… the yips. Though Headley alluded to the mental component of his throwing woes, he still tried to work on the issue with extra fielding practice. But the yips are an overthinking problem. Working on technique or mechanics often keeps you stuck in the yips because it forces you to continue thinking about the problem. 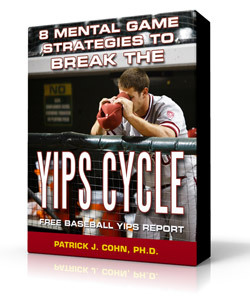 In order to overcome the yips, you need to work on mental solutions to return to an instinctual feel for the game. Instead of thinking about your mechanics or the outcome of your throw, mentally count out the tempo of the throw. After fielding, count 1-2-3 as you go through the throwing process. This will allow you to throw without over-instructing yourself during the throw. Learn how to develop a strong mental game and you will see positive results in your physical game.